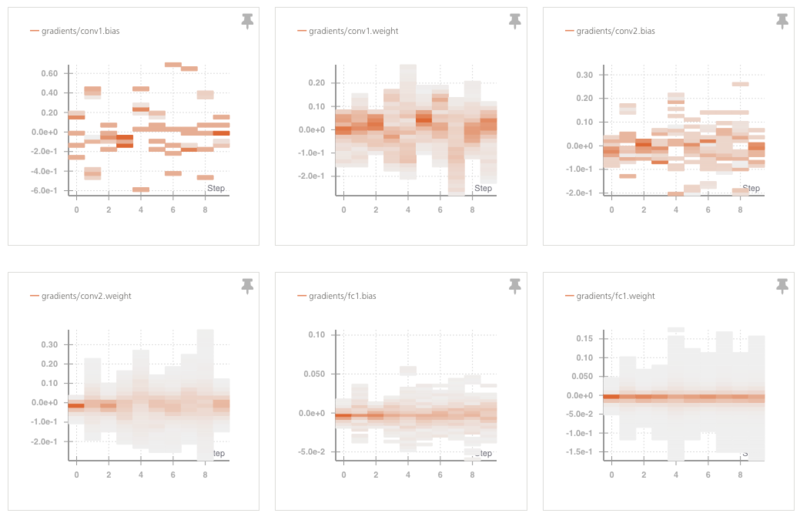 I love PyTorch and I love tracking my experiments. 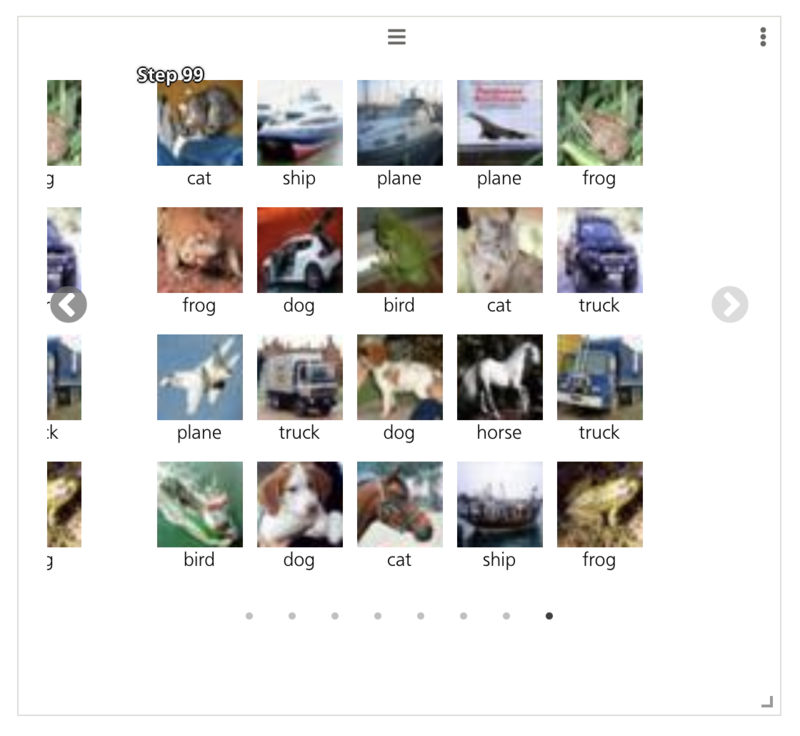 It’s possible to use Tensorboard with PyTorch but it can feel a little clunky. We recently added a feature to make it dead simple to monitor your PyTorch models with W&B! I started with the PyTorch cifar10 tutorial. This tutorial is fantastic but it uses matplotlib to show the images which can be annoying on a remote server, it doesn’t plot the accuracy or loss curves and it doesn’t let me inspect the gradients of the layers. Let’s fix all that with just a couple lines of code! At the end of each epoch I log a couple example images to get a feel for what my network is doing. I can log these images just like metrics. In fact I can log matplotlib graphs in the same way, but that’s a topic for another blog post! Now I get a histogram of each gradient in my network as it trains! Each new PyTorch run is added to my table, which I can explore to find deeper patterns. Give it a try! 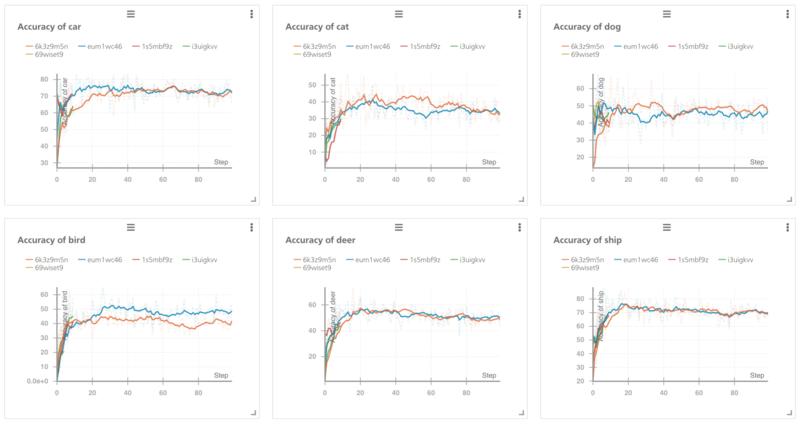 You can run my sample cifar10 code, and here are the results of my run on Weights & Biases.